ESO Supernova Exhibition — How can we live in the Atacama Desert? How can we live in the Atacama Desert? Chile's Mars-like Atacama Desert, one of the driest places on the planet, is home to just a few lifeforms. It requires a great deal of adaptation and some complicated logistics to operate large observatories there. 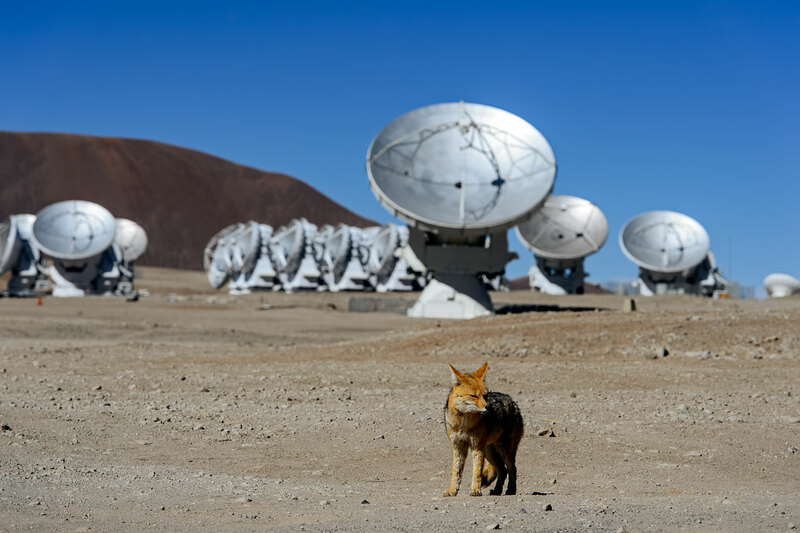 Fox among rocks: The Andean fox is a regular visitor to all ESO observatories. It is the second largest canine in South America, after the maned wolf. 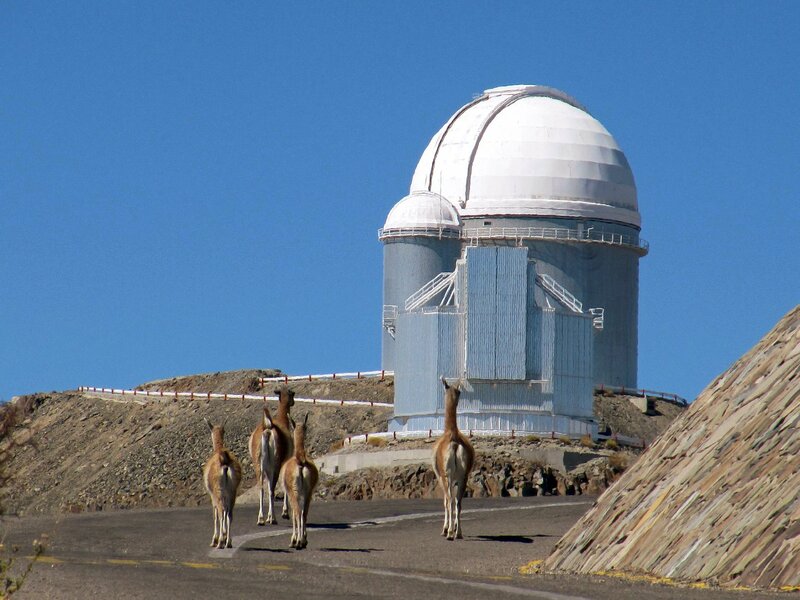 Vicuña vista: Vicuñas - a relative of the llama - from the high alpine regions of the Andes marvel at ESO's 3.6-metre telescope at La Silla. Tucked away between the Cordillera de la Costa and the Andes mountain range, the Atacama is an old, bone-dry desert that looks a lot like Mars. Flowers are rare, animals scarce and insects almost absent. At ESO's three main observatory sites, water is pumped up from underground wells or trucked in from afar, just like every scrap of food. To compensate for the harshness of the environment, the lush tropical garden in the Paranal Residencia provides welcome humidity. 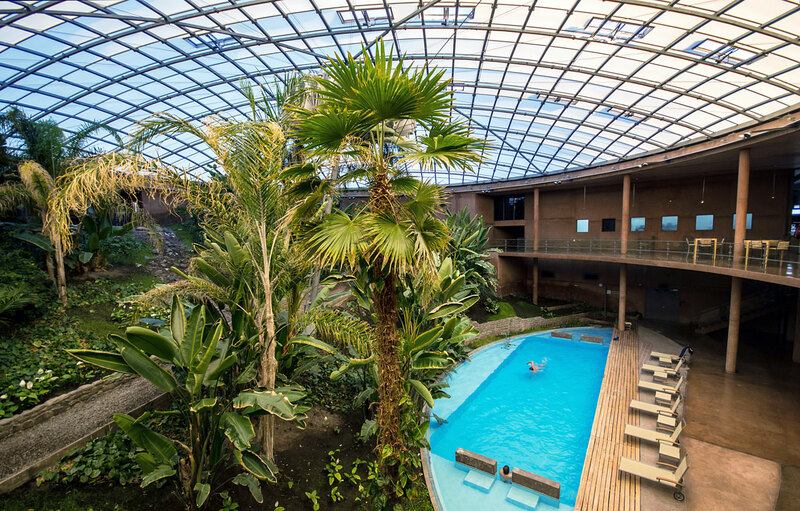 Humid Oasis: The tropical garden and the pool in the Paranal Residencia: a place to relax and to moisten the air in the hotel. 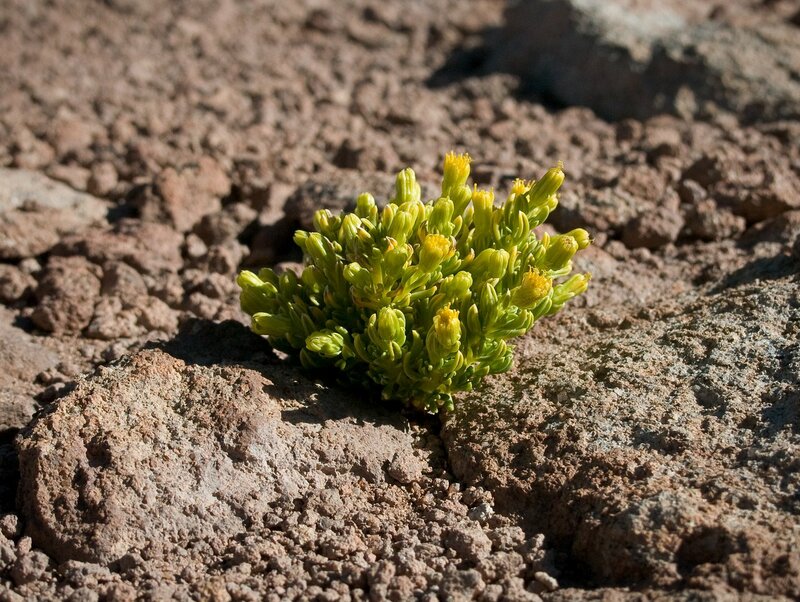 Hardy flower: Even at an altitude of 5150 metres, close to the ALMA Observatory, some plants are able to flower. A rare sight in the desert. 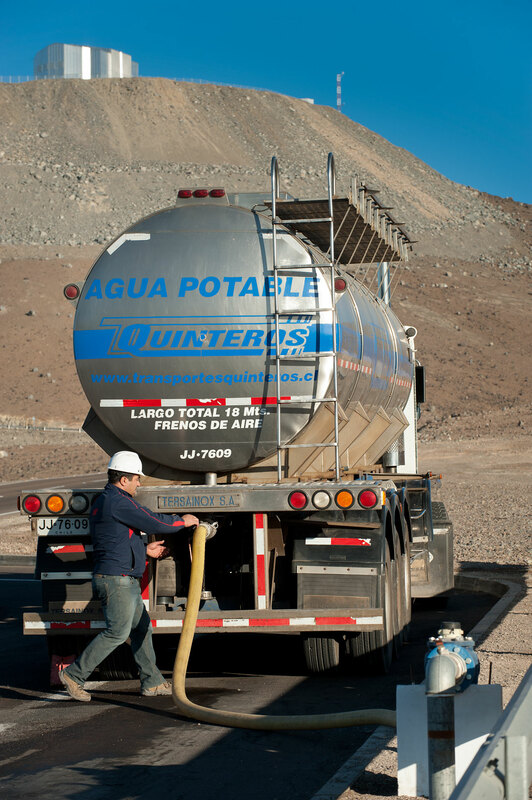 Lifeline: Three times a day, trucks from Antofagasta deliver water to ESO’s Paranal Observatory. The big city is 130 kilometres away from the observatory. Have you ever been in a desert? No food, no water, no electricity - it's really tough! Still, ESO astronomers have learned to live and work in the Atacama Desert in Chile - together with just a few plants and animals.